Your home is your sanctuary, the abode you spend quiet or fun moments with the family, your daily escape from your stressful work environment. So it’s very important to make your home as cozy as possible. When planning to build a house, one of the first things to do is hire a builder. Professional and seasoned home builders have a vital role in understanding what you require, drafting designs, making project cost estimates, and supervising the progress and completion of the project. While you can do these things, a certified builder can do them much better. One of the ultimate dreams of many people is to leave their rented apartments and finally move into their own homes. A home building project is demanding but rewarding. After months of planning and seeing the progress of the project, you get to finally see the fruit of your labor. Builders don’t just erect homes. They also help clients arrive at better budget and design decisions. Builders supervise the planning and progress of a home building project. They have architects, who handle the design, and interior designers, who handle the aesthetic aspects of the job. They also employ manual laborers who perform the physical work. Moreover, builders handle or supervise purchase and transport of materials and coordinate with or employ plumbers and electricians. 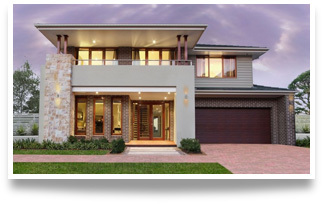 Home building is a complex work that needs constant overseeing. This is where the team from Devel really shines because of their years of experience. "...The licensed Master Builders from Devel aslo like sharing our knowledge about different topics associated with home renovations and building. If there's a topic you'd like us to cover just get in touch with us..."